The Caribbean island of Grenada has warm weather all year round and, whilst rain only really comes in short bursts, it is driest from December to April. In December, Grenada enjoys warm sun all day long, ideal for lazing on the beautiful beaches or hiking through naturally beautiful rainforests, waterfalls and lakes. The island boasts miles of white sand beach with calm, shallow waters and there is a multitude of dive sites to explore both colourful coral reefs and wrecks. Water based activities including fishing, dolphin and whale-watching, skiing, surfing, sailing, kayaking and even banana boats are all readily available as are tours of the islands stunning public and private tropical gardens, rum distilleries and nutmeg factories. The capital of St Georges is an ideal place to stay with its lovely harbour, lined with waterside restaurants, plenty of shopping and, it's just moments from Grand Anse Beach. Enjoying snow coverage from December to April, the Bulgarian ski resort of Bansko in December is not just a safe bet for but very good value for money. 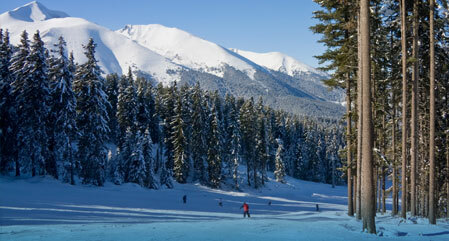 This, combined with the fact that the resort has slopes which are ideal for beginners and intermediates, offers quality instruction and, has plenty of traditional 'Mehanas' and restaurants as well as many shops, historical and cultural attractions in the town, could make it a good choice for first-time skiers to dip their toe in. Accommodation ranges from hotel rooms to spacious apartments and chalets, most with traditional styling and homely comforts and many with spa facilities. We offer holidays to Bulgaria and have a wide selection of hotels both in the heart of Bansko and on the outskirts, in the valley of Razlog. The Bahamas are warm all year round with hot and humid weather in the summer, which is also the rain and hurricane season. 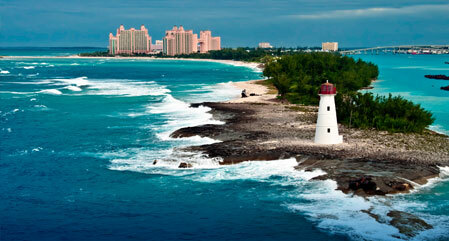 The island of New Providence is quite sheltered and Nassau in December should be dry, warm and sunny. We offer cheap holidays to the Bahamas with a range of hotels in downtown Nassau, alongside Cable Beach and on Paradise Island, the latter of which is just across the bridge from Nassau Harbour. Enjoy lazy days on the beautiful white sand beaches and swim in the clear blue seas; stroll around the historic Rawsons Square and the famous Straw Market on Bay Street; admire the views from the Queen's Staircase and the yachts in the magnificent marina. Go diving at the Lost Blue Hole and snorkelling at Goulding Cay; play golf at Cable Beach Golf Course and the gaming tables at one of the exciting casinos; take a boat trip and interact with the dolphins at Blue Lagoon Island and, see the pink flamingos at the Adastra Gardens. Abu Dhabi in December is far from the hottest month but with long days of sunlight and daily average temperatures in the twenties it's more than a welcome break from the British winter and, there is very little chance of rain. We offer holidays to Abu Dhabi with accommodation including majestic beach front hotels and elegant suites in modernistic towers in the heart of the resort. Feel like royalty as you are met with high standards of services and surrounded by landscaped parks and gardens, magnificent golf courses, luxurious hotels and modern shopping centres. 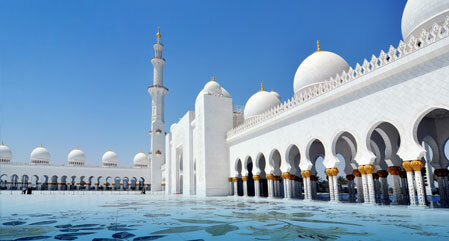 Relax on sun-kissed Arabian beaches, dine along the picturesque Corniche, stroll around the Old Souk, admire the beautiful Sheikh Zayed Grand Mosque and visit Yas Island, home to Ferrari World. 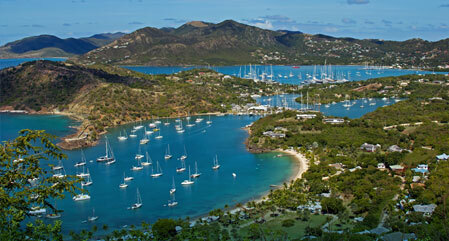 Antiqua is a beautiful and relaxing year round holiday destination, located in the West Indies. Antigua in December enjoys the same warm waters and sunshine as it does for the rest of the year and, any rain usually falls in short showers; humidity is particularly low and the hurricane season has passed. 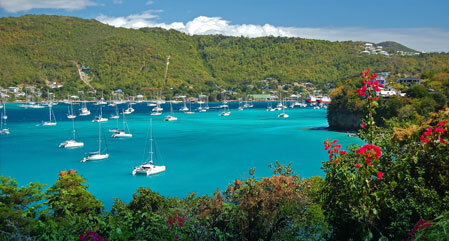 Tropical gardens, stunning beaches, crystal clear blue waters and a relaxed Caribbean atmosphere are just the beginning. Discover the history of the naval base at Nelson's Dockyard and that of the sugar cane industry at Betty's Hope; walk the nature trail to the top of Shirley's Heights for panoramic views, stroll around St Johns Market, zip-wire through the rainforest and go surfing, snorkelling and sailing; dine at Falmouth Harbour and take a picnic to the Indian Town National Park. The island of Antigua is just 22km by 17km and whilst you might not have time to laze on all 365 beaches, you can explore a fair bit of the island if you wish. 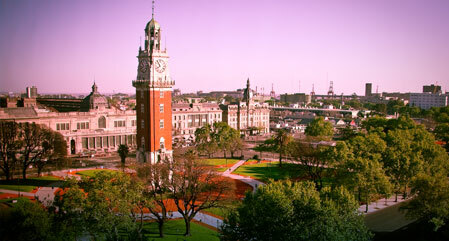 December in Argentina falls into late Spring early Summer, when the sun shines at a pleasant heat. Buenos Aires is a vibrant city where simply chilling in a coffee shop, strolling along Riverside Drive or watching street artists and performers can give you a good feel for life here. There are many things to see and do in the city; to start, you could explore the historic quarter or Chinatown, spend an evening on Julio Cortazo Square, relax in the Japanese Garden and visit the colourful district of Caminito and the impressive Recoleta Cemetery. Shopping opportunities range from the antique shops and market of San Telmo to numerous large indoor shopping malls, such as the elegant Galerias Pacifico. In fact, why not book a cruise and spend Christmas in South America, combining your city tours with days on the beautiful beaches of Brazil too.